Lord Đurađ I Balšić confirms that Dumonja and Pokret have fully paid the lease for the right to collect royal customs revenues at the market of Prizren. 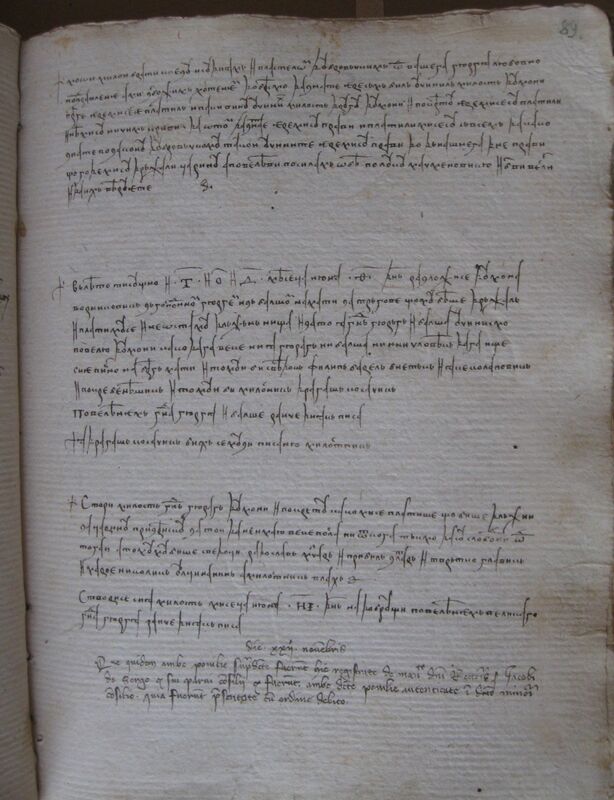 Authentic copy in Dubrovnik chancery register (1375-11-22). Državni arhiv u Dubrovniku, Diversa Cancellariae 24, 89. Original dating clause: In the month of June, 18th day. M. Pucić, Spomenici srpski II, 27, no. 33 (corrections and additions: K. Jireček, Spomenici srpski, 101); LJ. Stojanović, Povelje i pisma I–1, 108, no. 110 (dated: 18 June 1374); Diplomatički zbornik XV, 154–155, no. 116.